Ventura Swimwear – A Southern California Favorite! You’re sure to find the right suit in their large selection of swimsuits, including board shorts, bikinis, and one-pieces! 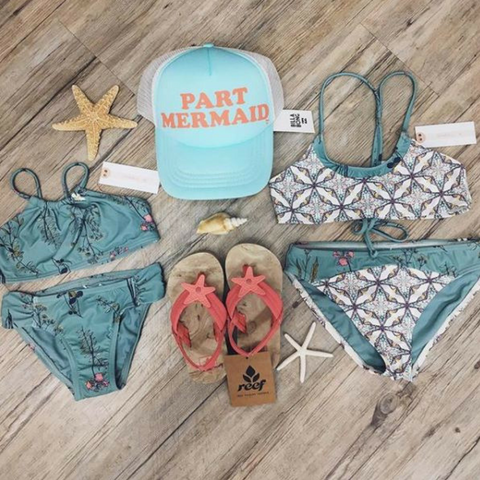 Ventura Swimwear also carries everything else you need for the beach: towels, apparel, hats, cover-ups, and cute jewelry, too. Stop by the shop and find out why people travel for miles to visit Ventura Swimwear. Have a swimsuit that you love, but that doesn’t love you? Ventura Swimwear does swimsuit alterations in-store! Call for further details.